Zack, Slater, Jessie, Kelly and Principal Richard Belding return as Jimmy Fallon reminisces. Could Jimmy Fallon possibly get any cooler? Following the comedy highlights from his 'The Tonight Show' special for the Super Bowl XLIX, the comedian has reunited cast members from beloved 90s show 'Saved By The Bell' in his latest skit. Fallon gets a decent amount of appreciation for his crazy outfit combination and startlingly long hair as he reminisces about his high school days, and goes into a scene set-up of Bayside High. However, a particularly prolonged applause went to Mark-Paul Gosselaar (Zack Morris) as he made an appearance complete with wavy blonde hair and looking almost indistinguishable from his younger self some 25 years ago, proceeding to reel off the lyrics from the famous theme tune. 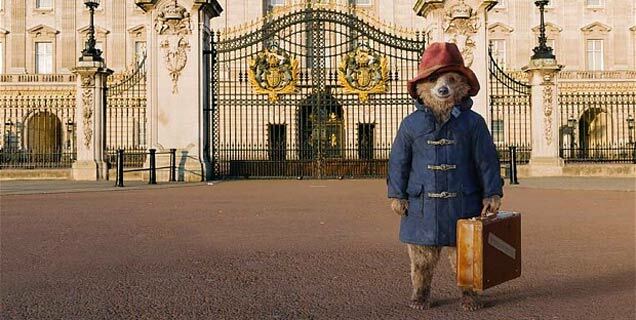 The US gets ready for 'Paddington', the family movie smash of 2014, to make its debut. Having taken British cinemas by storm over Christmas, the excellent family comedy Paddington is finally set to hit US theaters this weekend. If you’re unfamiliar with the adventures of the Peruvian bear, let us try to persuade you of his charms before you go to see it. No plot spoilers though! The character was created by Michael Bond in 1958, a polite bear who loves marmalade sandwiches that is found at London’s Paddington Station and taken in by the Brown family. In the film, he adjusts happily to his new life in London until he gets into a scrape when he meets an evil taxidermist. We’ll let you find out how our hero deals with that for yourselves! Turns out Nicole Kidman once had a thing for Jimmy Fallon problem is, the funnyman didn't even realise. First dates are usually pretty awkward, but one way to make them a little worse is to not even tell one of the participants that they're meant to be one a date! That’s kind of what happened when Nicole Kidman went round to Jimmy Fallon’s place over a decade ago, thinking she was on a date with the comedian. Instead it all meant for a hilariously awkward encounter that the actress would later recall while appearing on the ‘Tonight Show’. Jimmy Fallon appeared to be just not that into Nicole Kidman during their date. Kidman was sitting on Fallon’s TV sofa to promote her latest movie Paddington, when the topic of conversation turned to the pair’s first and only prior meeting. Kidman encouraged the talk show host to tell his version of the encounter first, where he thought the actress was coming over to discuss a potential movie role. Nicole Kidman Admits She Hopes To Get Pregnant "Every Month"
The Australian star, who is already a mother of four, wants another baby! Nicole Kidman already has a rather busy personal life as she is the mother of four children, Isabella, 21, and Connor, 19 with ex-husband Tom Cruise, as well as Sunday, 6, and Faith, 3 with husband Keith Urban, but the 47 year-old actress isn't ready to close the door on expanding her family just yet. The Aussi star recently opened up to the January issue of Elle magazine about her personal life with urban, and her constant desire to become pregnant once again. Continue reading: Nicole Kidman Admits She Hopes To Get Pregnant "Every Month"
A beloved tale is brought to life for kids (and grown ups) of today. After a series of beloved books and cartoons, filmmakers had a big challenge to come up with a big screen version of the story of Paddington bear, combining animation and live-action for a romp akin to the '101 Dalmatians' or 'Alvin and the Chipmunks' movies. 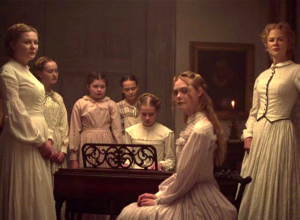 And the filmmakers confounded critics by coming up with something that's genuinely charming while adding elements more familiar to today's young audiences. For the film 'Paddington', the main departure from the canon is the addition of a villain in the form of Nicole Kidman's snaky Millicent. She may get to do some 'Mission: Impossible' stunts and Cruella de Vil vamping, but Millicent's chief purpose in the movie is clearly to add some final-act excitement in a story that's otherwise adorable and warmly witty. It's difficult not to go into a movie like this with a sense of dread, as the beloved children's book becomes a live-action movie with a digitally animated, eerily realistic-looking bear. Thankfully, the task of filmmaking was given to the inventive Paul King (of Mighty Boosh fame), who made the charmingly surreal 2009 comedy Bunny and the Bull and brings a refreshingly unexpected comical sensibility to liven up this film's family-friendly formula. It starts in darkest Peru, where a young bear (voiced by Ben Whishaw) has been raised by his aunt and uncle (Imelda Staunton and Michael Gambon), who learned about London from a British explorer. Now in need of a new home, the youngster heads across the sea and takes the name of Paddington Station when he meets the Brown family: over-cautious dad (Hugh Bonneville), over-curious mum (Sally Hawkins), sulking teen Judy (Madeleine Harris), inventive pre-teen Jonathan (Samuel Joslin) and feisty relative Mrs Bird (Julie Walters). As they help him find the explorer, he has a series of adventures, unaware that the taxidermist Millicent (Nicole Kidman) is on his trail, determined to add him to the species on exhibition at the Natural History Museum. This Cruella De Vil-style subplot would be seriously annoying if King ever let it take over the movie, but it always remains secondary to Paddington's mayhem-causing behaviour and his bonding with the Browns. It also provides some genuine tension in a climactic action sequence in the museum. But most of the film is dedicated to Paddington's comically ridiculous antics, and Whishaw voices him with just the right mixture of curiosity and hapless mischief to make him irresistible. Two of Hollywood's most famous actresses - if not the most famous - are heading to the small-screen. Oscar-winning actresses Reese Witherspoon and Nicole Kidman have signed on for TV series, Big Little Lies, by Ally McBeal writer David E Kelley. Based on the book by Liane Moriarty, the show will tell the story of three mothers with children in nursery school who get caught up in a murder mystery. Witherspoon and Kidman will play two of those women, whose seemingly perfect lives are turned upside down during a school fundraiser. The third role is yet to be cast. 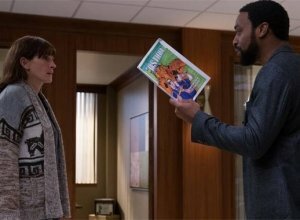 The limited TV series, which is currently being shopped to premium cable networks, is based on Liane Moriarty's No.1 New York Times best-selling novel. The two movie stars have signed on to star alongside each other in a limited series based on Liane Moriarty's book of the same name, written by David E. Kelley, according to The Hollywood Reporter. The project isn't attached to a network, but it is currently being shopped to premium cable network channels. The 47 year-old actress recently opened up about how Urban's constant love has never faded throughout their 8-year marriage, especially when she has needed it the most when her father passed away. Nicole Kidman's movie career is nothing short of a success, but the cost of fame and fortune has often left the Australian actress's family and personal life in turmoil, however husband Keith Urban's support has been a crucial help through her recent tough times. The Australian actress stopped by 'The Ellen DeGeneres Show' on Thursday (Oct 30th) and gushed about how Urban's constant love has never diminished throughout their 8-year marriage, especially when she has needed it the most when her father passed away. The 47 year-old actress, who is already a mother to four children, dreams of becoming pregnant every month. Nicole Kidman already has a rather busy personal life as she is the mother of four children, Isabella, 21, and Connor, 19 with ex-husband Tom Cruise, and Sunday, 6, and Faith, 3 with husband Keith Urban, but the 47 year-old actress isn't ready to close the door on expanding her family just yet. On Friday (Oct 10th) Kidman spoke with KISS 1065 radio station in her native Australia and admitted that she still desires to welcome a new baby into the world, and even dreams about getting pregnant every month. Dr. Antony Kidman leaves behind daughters Antonia and Nicole Kidman and wife Janelle. Nicole Kidman and her family have been left devastated after the tragic accidental death of her psychologist father Dr. Antony Kidman today (September 12, 2014), who suffered a fall while on a trip to Singapore. Antony Kidman was visiting Nicole's sister Antonia Kidman when the incident occurred, and while many media sources have confirmed that it was indeed a fall that killed him, other outlets have revealed that it took place in a hotel restaurant in Singapore with the Daily Mail reporting a suspected heart attack. He was allegedly inside the Wheelhouse restaurant at the Tanglin Club. Colin Firth and Nicole Kidman form a formidable team in 'Before I Go To Sleep', which hits cinemas in the UK this weekend. It is often said that a good actor is only as the direction that he or she are receiving, or the material from which they're reading. 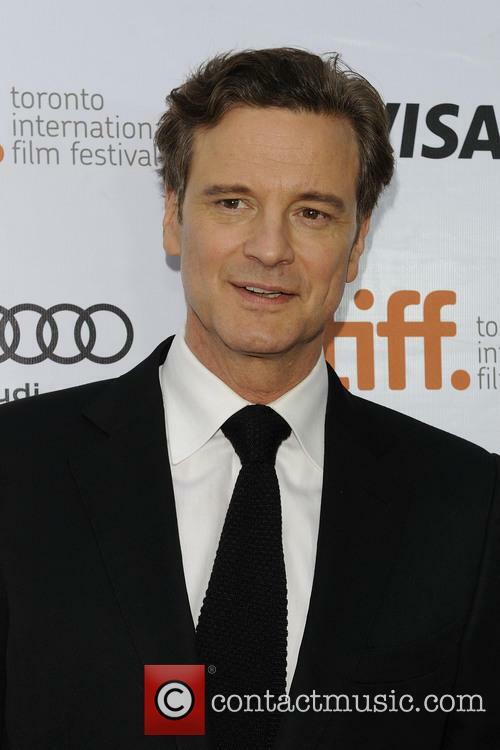 Colin Firth is certainly an impressive actor, though his finest performances - The King's Speech, A Single Man - read great on the page and both Tom Hooper and Tom Ford turned in excellent directorial efforts. The same can be said of Brighton Rock's Rowan Joffe, who directs an adaptation of S.J Watson's best-selling novel Before I Go To Sleep. It's the story of a woman (Nicole Kidman) who wakes up every day with no memory, as a result of a traumatic accident she suffered in her past. Terrifying truths begin to emerge to make her question everything she thinks she knows about herself, including her doctor (Mark Strong) and even her husband (Firth). A clever premise can't help but grab the audience's attention as this mystery-thriller plays with ideas of identity and memory, but the simplistic filmmaking makes it feel like a cheat. 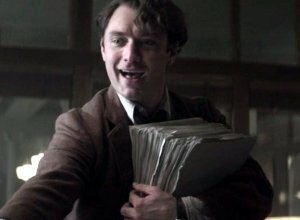 Writer-director Rowan Joffe (2010's Brighton Rock remake) badly underestimates the audience, using melodrama and contrived storytelling to try to manipulate viewers' emotions. And it doesn't help that the leading lady can't move her face. Nicole Kidman stars as Christine, who wakes up every morning thinking that she's 23. When she discovers Ben (Colin Firth) in her bed, she's almost as horrified as when she sees her 40-year-old face in the mirror. But Ben patiently explains who she is, that he's her husband and that an accident damaged her ability to make new long-term memories. When he leaves for work each day, she is contacted by Dr Nash (Mark Strong), who helps nudge her into the present. But all of this does little more than make Christine wonder whether anyone is telling the truth. 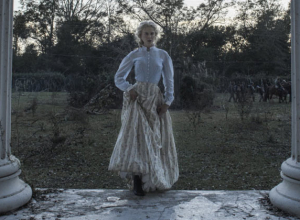 As she digs deeper each day, she gets in touch with her friend Claire (Anne-Marie Duff), who offers some continuity. And by piecing clues together she begins to realise that there's a gap between what's really happening and what she thinks she remembers. With elements of both Memento and 50 First Dates, this film is packed with tricky elements that add to the suspense, creating a creepy atmosphere that's surprisingly moving as seen through Christine's eyes. Even with her immobile face, Kidman's eyes are alert and emotive, strongly conveying Christine's yearning to understand the truth. Opposite her, the always terrific Duff has the film's best role simply because she seems to be who she claims to be. Meanwhile, Firth and Strong have a great time wrong-footing both Christine and the audience, or maybe they're just misunderstood. The fascinating premise forces us to sift through the clues ourselves to figure out what's going on. The 47 year-old actress speaks candidly of her marriage to Keith Urban, and her journey to being in such a happy place personally. Nicole Kidman's movie career is nothing short of a success, but the cost of fame and fortune has often left the Australian actress's family and personal life in turmoil as it is no secret she has experienced some amazing highs and shattering lows over the years. In a rare occurrence, the Oscar-winning star recently opened up about her past struggles in a revealing interview in the new issue of The Edit, recalling her journey to find the happy place she finds herself in now. At just 24, Watson joins Nicole Kidman and HRH Princess Bajrakitiyabha of Thailand as a UN Women spokesperson. Emma Watson may be just 24, but she is already doing big things with her life, beyond starring in the most successful film franchise of all time. Fresh off her Bachelor’s degree at Brown, Watson has been appointed as the new goodwill ambassador of UN Women – the United Nations body dealing with issues of equality and empowerment. On the heels of wrapping her new movie, Emma Watson has taken on an publicity role with the UN. "Being asked to serve as UN Women's Goodwill Ambassador is truly humbling," Watson, 24, said in a statement, according to Reuters. "Women's rights are something so inextricably linked with who I am, so deeply personal and rooted in my life, that I can't imagine an opportunity more exciting," she said. Imagine waking up each day with no recollection of the past. All sour memories of Nicole Kidman in Grace of Monaco are about to be forgotten as she gives an unforgettably unsettling performance in new thriller Before I Go To Sleep. Like 50 First Dates meets Memento, the movie focusses on a woman who wakes up each morning with a wiped memory due to her amnesia. Kidman plays Christine Lucas, who is suffering from a complicated form of amnesia brought on by a terrifying incident that left her injured. Christine wakes up each day with no recollection of anything, despite keeping a video diary to remind herself. It becomes apparent that no one can be trusted as her husband Ben (Colin Firth) is reluctant to tell her things about the past and her doctor (Mark Strong) seems to have ulterior motives. Christine learns that the only person who could have a chance of identifying her attacker is herself, if only she could remember what happened. As Colin Firth is replaced as the voice of Paddington Bear, we have a cute and funny new trailer to watch. Missing the lead actor in your movie four months before its release? No problem! As was evidently thought by director Paul King and the makers of the upcoming children's adaptation, Paddington. 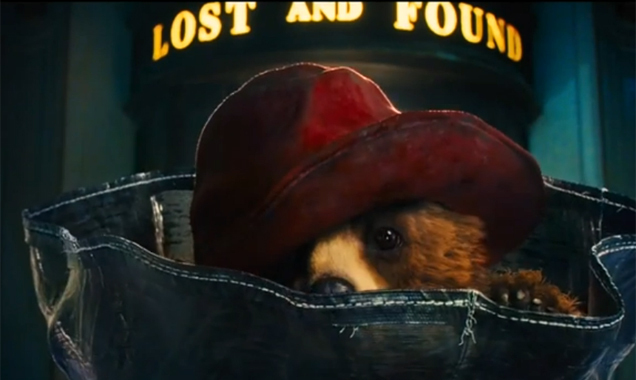 A new trailer has been released for the live action movie, which is based on Michael Bond's Paddington Bear creation, whilst neatly side-stepping the absence of a voice for the titular brown bear. 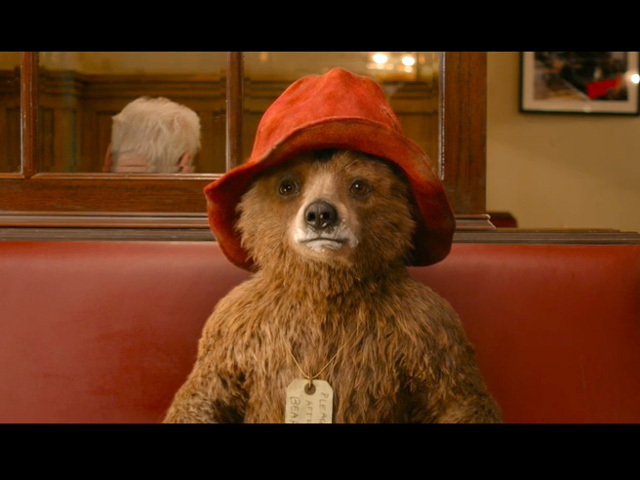 A New 'Paddington' Trailer Shows The Little Bear Up To No Good In A Bathroom. Colin Firth had been cast as the voice of Paddington - the only animated character in the movie - but stepped away from the role after it was decided that his tones didn't fit theanimation. 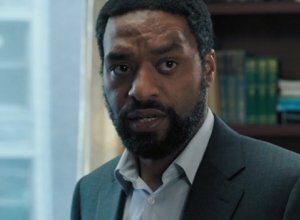 "It's been bittersweet to see this delightful creature take shape and come to the sad realisation that he simply doesn't have my voice," the actor explained last month. Is there a Sing Along of the Year Award? This video should probably win. No, Keith Urban and Nicole Kidman aren’t headed for a divorce – in fact, they couldn’t be farther from the thought. In case you needed further proof that the pair are adorable and still in love, the couple visited a children’s hospital in Australia on Friday and sang a heartwarming duet of Amazing Grace. Urban, a true man of country, brought his guitar on their visit to Monash Children’s Hospital, while Kidman showed off her impressive pipes. She joined in with her husband, making it into a rather endearling duet. By the end of the song, the musical pair had the entire room singing along. Even Nicole Kidman couldn't do anything with the lousy 'Grace of Monaco' script. After 2013's disastrous biopic Diana, starring Naomi Watts, it was something of a shock that filmmaker Olivier Dahan soldiered on to make Grace of Monaco, starring Watt's best pal Nicole Kidman. Reviews for both films were uniformly awful, so at least the actresses will have something to laugh about over dinner. The odd thing is that both Diana and Grace of Monaco were made by European filmmakers who have strong pedigrees. Diana was directed by German filmmaker Oliver Hirschbiegel, whose Downfall (2004) is considered one of the finest movies ever made about the collapse of Nazi rule. Meanwhile, Dahan directed Marion Cotillard to an Oscar in the Edith Piaf biopic La Vie en Rose (2007). While the tone is all wrong, this fantastical version of a momentous year in the life of Grace Kelly is still entertaining, and not just unintentionally. Lavishly designed and heavily fictionalised, the film is anchored by a solid movie-star performance from Nicole Kidman that may miss Kelly's persona but captures an intriguing inner life. It's set in 1961, five years after Grace (Kidman) left her Oscar-winning career to marry Monaco's Prince Rainier (Tim Roth). Now with two kids, she is still struggling to define her role as a foreign-born princess while considering a return to Hollywood. Meanwhile, France is ominously threatening Monaco with embargoes and more if Rainier doesn't start taxing his population and paying the money to France. Taking advice from her priest friend Tucker (Frank Langella), Grace decides to devote herself to her husband to help solve the crisis. This will require training with an etiquette guru (Derek Jacobi) as well as fending off the in-laws (Geraldine Somerville and Nicholas Farrell). And it may mean that she'll never return to the movies. The script by producer Arash Amel presents each of Grace's decisions in the most simplistic melodramatic light, as director Olivier Dahan cuts to yet another extreme close-up of Kidman's weeping eyes. The corny approach undermines any chance at real drama, as the filmmakers keep trying to crank up suspense (someone is leaking secrets!) or emotion (the people need a champion!) without building up any meaningful substance. This makes most of the plotting feel rather laughably silly, centred around a painfully dull series of political negotiations. Nicole Kidman Speaks Candidly On Isabella And Conor Cruise: "They Are Generous, Kind And Hardworking"
The 46 year-old actor admits that when it comes to family, she "wouldn't even bat an eyelid," to give up her career for them. It isn't an unknown fact that Nicole Kidman doesn't speak much about her two adopted children she shares with Tom Cruise, but that doesn't mean their relationship isn't solid. 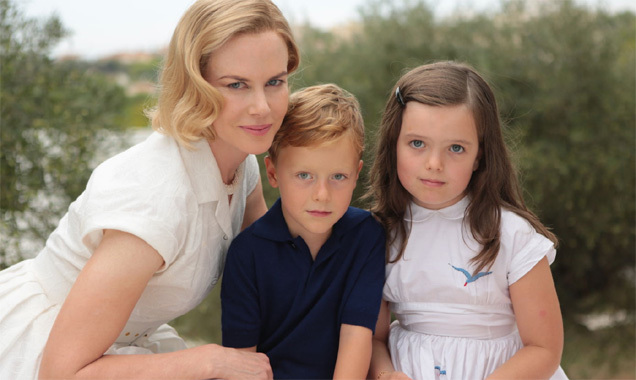 Kidman, who plays the lead role of Princess Grace Kelly, was asked if she would give up her career for her family, similar to what her character did. Continue reading: Nicole Kidman Speaks Candidly On Isabella And Conor Cruise: "They Are Generous, Kind And Hardworking"
Will Adam Sandler's latest film 'Blended' join the ranks of his most poorly rated films? Here's the top 5. 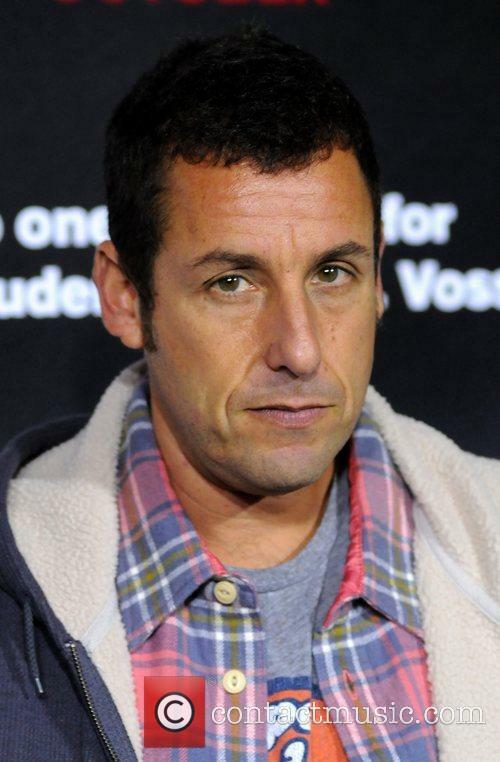 Adam Sandler's alleged humour responds with teenage boys, and teenage boys at heart, around the world. His films contain enough toilet humour and slapstick comedy to rival The Three Stooges. Unfortunately, few of them have ever gone down well with the critics. Adam Sandler stars in Blended - but will it become one of his worst films ever? His latest film, Blended, starring Drew Barrymore follows two single parents as they endure a disastrous blind date. Evidently despising each other, they are forced to meet again following a mix up and somewhere end up on vacation in Africa along with their numerous children. It's a fairly obvious cocktail, disgust will turn to love on the plains of Africa and the two will manage to unite their families. Along the way there'll be a host of silly antics and misunderstandings which will quickly be swept under the carpet whilst the sun sets on a romantic first kiss. The stars of both Godzilla and X-men: Days of Future Past turned out for a pair of big premieres over the past week. Godzilla, starring Aaron Taylor-Johnson, Elizabeth Olsen and Bryan Cranston, had its world premiere in Los Angeles, while X-men: Days of Future Past, starring Hugh Jackman, James McAvoy and Michael Fassbender, bowed in New York. Then both casts travelled to London for European premieres a few days later. Check out our 'Godzilla' Premiere at Dolby Theatre - Arrivals photos, watch the video of Hugh Jackman sporting a bandaged nose At 'X-Men: Days Of Future Past' World Premiere or watch the video of James Mcavoy and Patrick Stewart re-uniting at the 'X-men: Days Of Future Past' World Premiere. But there was an even bigger film event this week in France, as the Cannes Film Festival kicked off with Nicole Kidman's new movie Grace of Monaco. The film received savage reviews from the critics, but Kidman brought real glamour to opening night. And the critics had far more praise for Mike Leigh's new film Mr. Turner, which stars Timothy Spall. Browse photos from the 67th Cannes Film Festival - Grace de Monaco - Photocall the 'Mr Turner' - Photocall or watch the trailer for Mike Leigh's Mr Turner. The Cannes Film Festival is always a fashionista's dream, but so far the gowns on show this year have been more breathtaking than ever. You can always count on the Cannes Film Festival to have one of the year’s most glamorous red carpets, but this time around the stars just might have outdone themselves. We’re only a few days into the festivities and we’ve already been treated to a dazzling array of gowns to lust after. From Blake Lively to Kendall Jenner, here’s our best of the Cannes fashion so far. It might seem too early in the race to declare a winner, but Blake Lively could be this year’s best dressed actress. We’d only just stopped dreaming about her breathtaking Met Ball gown when she arrived at the Grace of Monaco premiere in another dazzling Gucci creation. The two tone red chiffon dress boasted a form fitting bodice and a thigh high slit, while Blake wore her hair pulled back and kept the make-up minimal. Is Grace of Monaco the year’s biggest critical flop, or are some kinder words to be found among the scathing reviews? Nicole Kidman’s Grace of Monaco finally got its premiere at the Cannes Film Festival this Wednesday and, to put it mildly, critics found it not to be worth the wait. The film seems to be have been universally panned with many calling it just too melodramatic for their taste. The movie’s reception is sure to be a blow for Kidman and director Olivier Dahan who already faced criticism from Monaco’s royal family and distribution problems before the film's release. But among all the negativity, does Grace of Monaco really have any saving graces? The premiere of Grace of Monaco was certainly highly anticipated, but perhaps not for the right reasons. It had garnered much press attention in recent months thanks to comments from Monaco’s royal family and a dispute between the film’s director Olivier Dahan and distributor Harvey Weinstein. 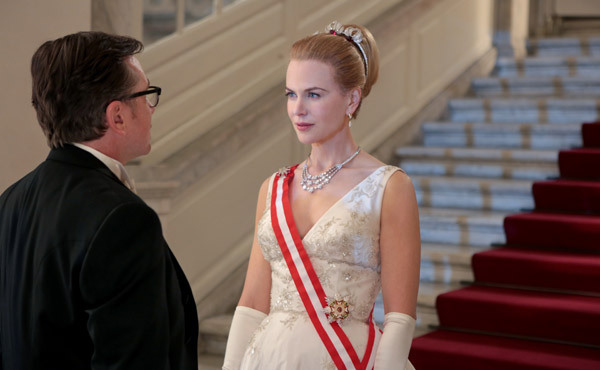 With 5% On Rotten Tomatoes, Is 'Grace Of Monaco' The Worst Movie Of 2014? 'Grace of Monaco' is really, really bad. We could have guessed that Grace of Monaco was going to be diabolical when it emerged that Harvey Weinstein had opted against turning up for its premiere at Cannes. The movie mogul had a good excuse for his absence, but had he known this was Oscar material, he would have been there smiling for the cameras. The movie stars Nicole Kidman as former Hollywood star Grace Kelly who married Monaco's Prince Rainier III. It focuses mainly on the Prince's dispute with France's Charles De Gaulle over tax laws in the early 1960s. Continue reading: With 5% On Rotten Tomatoes, Is 'Grace Of Monaco' The Worst Movie Of 2014? Grace Kelly is one of the most famous and most beloved Hollywood actresses in the world having won an Academy Award and two Golden Globes among others, and having starred in some of the most exciting films of the fifties. In 1955, her life changes dramatically when she catches the eye of the charming Prince Rainier III of Monaco who is on the lookout for the perfect wife. After three days of meeting, wedding plans begin and the high profile of such an event forces Grace to give up acting. Their marriage is about to be seriously tested, however, as Grace is offered a new screen role and she is itching to get back in front of the cameras. Unfortunately for her, nobody is in agreement with her continuing in film as a bad role could mar her royal reputation. 'Grace Of Monaco' is the dramatic onscreen biography of actress-turned-princess Grace Kelly, who was well-known for appearing in several of Alfred Hitchcock's films. 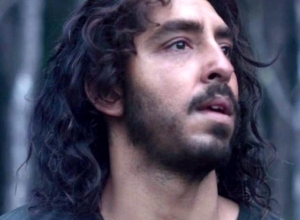 It has been directed by the BAFTA nominated Olivier Dahan ('La Vie en Rose', 'Ghost River', 'Crimson Rivers 2') and written by Arash Amel ('The Expatriate'). 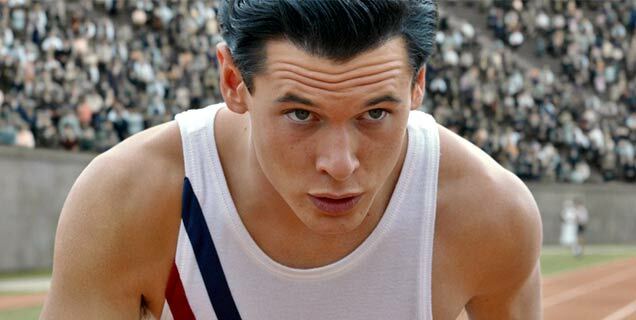 The film is set to be released in the UK on June 6th 2014. Colin Firth voices London's favourite bear in the upcoming movie. A teaser trailer has been released to promote this year's upcoming Paddington movie, based on Michael Bond's much-loved children's books and the animated television shows. The King's Speech's Colin Firth will voice the little brown bear, who everybody knows has a penchant for marmalade sandwiches. 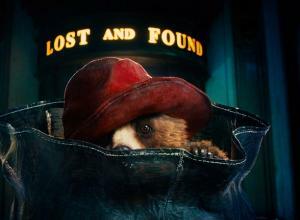 Upcoming Children's Film 'Paddington' Will Add A Modern Twist To Michael Bond's Much-Loved Children's Classic. Released this coming November, the Paul King-directed movie will follow the classic tale of the conscientious little bear who arrives in London from Peru feeling frightened and alone at Paddington Station. Luckily, the kind Brown family notice Paddington with his "Please look after this bear" tag and take him in. 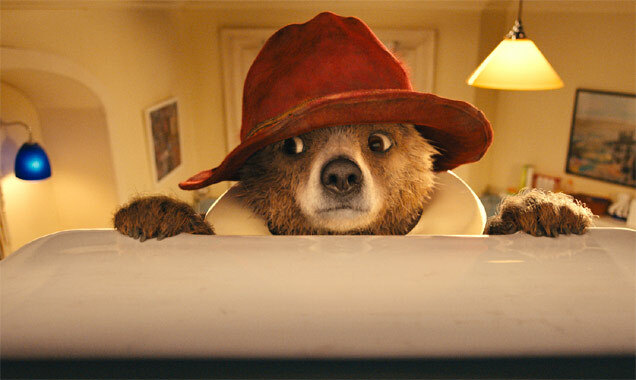 Paddington is a bear who has lived with his Aunt Lucy in Peru since he was young. She taught him all about an explorer she once knew and shared her dreams of jetting over to England. 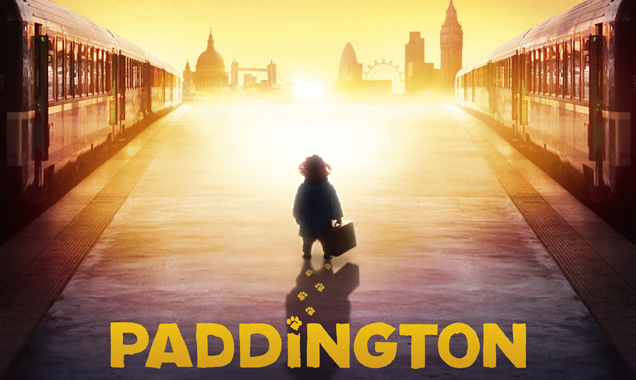 She decides to send him off on a boat to England after her home is destroyed, but rather than being thrilled at the prospect of being in a country he has yearned to see for so many years, young Paddington is left confused, alone and frightened in the bustling Paddington Station in London. Soon though, he has a stroke of luck when a kind family called the Browns take him in whilst he attempts to track down the explorer he has heard so much about. However, things don't run smoothly for Paddington, who finds himself running for his life from a cruel, money-loving taxidermist with an eye for rare bears. A terrific true story is oddly underplayed in this sober, sedate drama about reconciliation and making peace with the past. Strikingly complex performances from Colin Firth and Nicole Kidman help give the film some deeper resonance, even if even it all seems rather under-powered. But the force of emotion in the events makes the film worth a look. 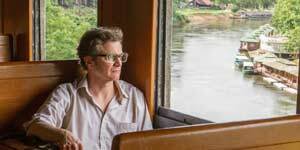 In 1980 Scotland, railway expert Eric (Firth) has defined his entire life by trains. During the Second World War, he was captured by the Japanese and put into forced-labour to build a railway in Thailand. 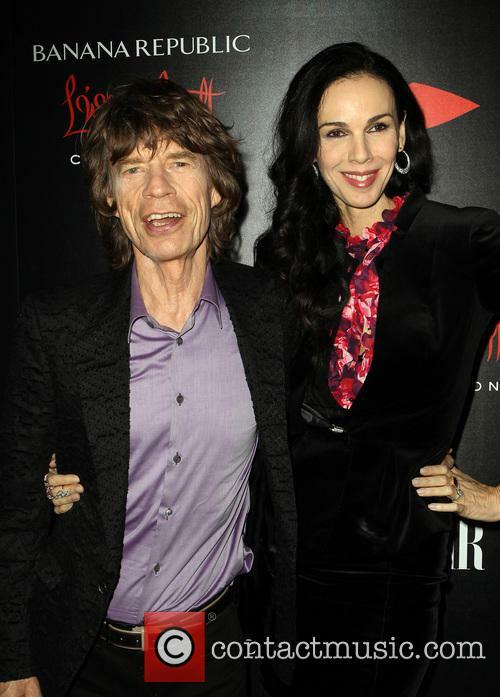 And more recently he met his wife Patti (Kidman) on a train journey. But their marriage starts to collapse when Eric refuses to face up to his torture at the hands of his wartime captors all those years ago, so Patti turns to his war-veteran pal Finlay (Skarsgard) for help. Eventually, Eric makes the difficult decision to return to Thailand and confront his tormenter Nagase (Sanada). A more Hollywood-style film would play out as a build-up to roaring vengeance, but director Teplitzky internalises the tone, showing us past events in extensive flashbacks as the young Eric and Finlay (Irvine and Reid) try to subvert the young Nagase (Ishida) at every turn. These scenes are eerily tame as well, and only reveal the true horror of Eric's experience when he finally faces up to it himself. Instead, the focus is on his struggle to forgive Nagase, and this gives the film a strongly moving punch. 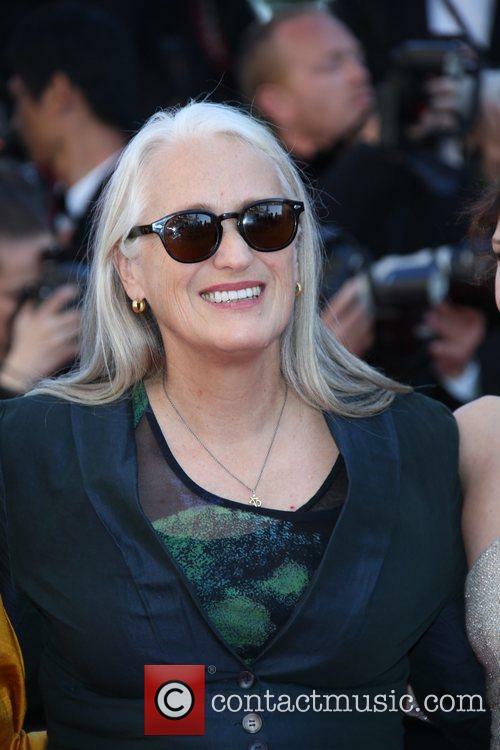 This year’s Cannes Film Festival – which will take place between 14-25 May – will see Jane Campion preside over judging responsibilities. Campion is best known for The Piano, a film that saw her win the Palme d'Or at the French film festival in 1993. She was the first female winner, and remains the only one to this day. The film also won her a best screenplay award at The Oscars. The legend of San Diego's Channel 4 news team may have long since dissolved over the years, but anchors Ron Burgundy, Brian Fantana, Brick Tamland and Champ Kind are set to return as part of a brand new 24-hour news channel. In a bid to innovate newsreading and once again come out on top over Ron's wife and rival Veronica, they decide that they're going to give viewers the news they want to hear rather than what they need to. As usual, their antics involve the usual scandal and debauchery, putting their careers and tarnished reputations once again in the media's line of fire. No matter though, as these co-workers have each other's backs all the way. Adam Sandler needs a big hit, quick. 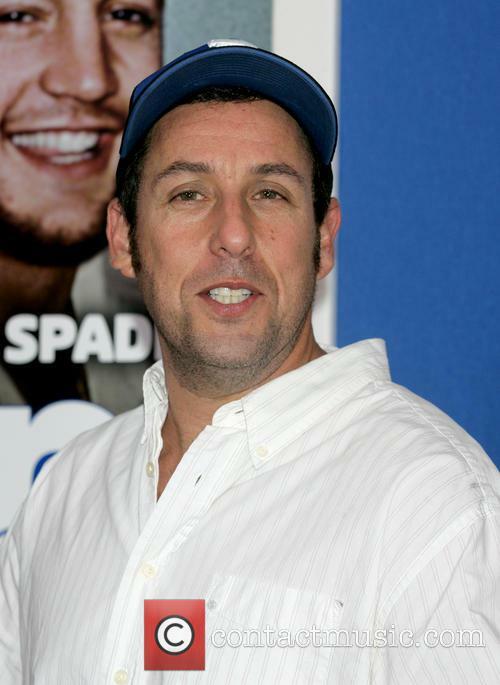 Adam Sandler was unsurprisingly named the most overpaid actor in Hollywood this week - which was fairly obvious to everyone, anyway. Despite some sizable successes in the past 15 years or so, the 47-year-old has suffered a slew of horrible movies that have returned only middling amounts at the box office. Forbes estimates that his last three movies pulled in $3.40 for every $1 the actor was paid. His flop That's My Boy - which one critic called "vulgar, tasteless, mean-spirited and most offensive of all - not funny" - cost around $70 million to make but lost money with returns of just $57 million. The news used to be a noble profession before the likes of Ron Burgundy with his set of San Diego anchors Brian Fantana, Brick Tamland and Champ Kind took over. Now it's all about scandal, debauchery and vulgarity and Burgundy and his team are fighting hard to keep it that way. As per usual, they manage to get themselves in all kinds of trouble involving drugs in the studio, completely inappropriate news headlines, accidental racism (not to mention homophobia) and, of course, getting laid, and it's all in a bid to remain on top of the media as Ron fights his own battle to professionally tower over his wife and rival Veronica. 'Anchorman 2: The Legend Continues' is the even more hilarious sequel to 2004's 'Anchorman: The Legend of Ron Burgundy'. There's definitely more laughs to be had from everyone's favourite news readers as Judd Apatow ('The 40 Year Old Virgin', 'Knocked Up', 'Forgetting Sarah Marshall') returns to produce it. Director Adam McKay ('Step Brothers', 'The Other Guys', 'Talladega Nights') is also back alongside his co-writer and star Will Ferrell. It is set to feature in cinemas just in time for Christmas, premiering in theatres everywhere on December 20th 2013. Ron Burgundy compares a Dodge Durango's horsepower to that of an actually horse before insulting it and challenging it to a staring contest in the new clip from upcoming 'Anchorman' sequel 'Anchorman 2: The Legend Continues'. Colin Firth has agreed to play Paddington Bear in a re-boot of the famed Michael Bond books about a bear from Peru with a taste for marmalade. In the original Bond books, Paddington is found by the Brown family in London's Paddington Station after getting lost on the way over from his South American homeland. It is thought that the origins from the book will be mirrored on to the screen. In a discussion with the Daily Mail, Firth revealed that the movie will all be live action, except for the computer animated Paddington. Firth also revealed that as well as providing the voice for Paddington, his facial expressions will be mapped and used by the animators to construct the Paddington we see on stage, using the same methods used to capture Gollum in the Lord of the Rings films.